A warm climate throughout the year, a coastline of splendid beaches bathed by the Atlantic and all types of accommodation, nightlife and sports make this a perfect location for the family. But you can still avoid the crowds and visit picturesque fishing villages or the ranges of hills inland, with their rural way of living and wild vegetation. For those who seek animated seaside resorts, Faro (the provincial capital), Portimão, Albufeira or sophisticated Vilamoura, with its luxurious golf courses, are excellent choices. If you prefer more tranquil destinations, head for the west coast, facing the Atlantic and where towns like Aljezur still offer long deserted beaches; or visit busy fishing market towns like Olhão and the pretty quaint village of Alcoutim, near Alentejo and Spain. Most towns and villages still bear the legacy of five centuries of Arab rule, visible in their narrow streets and the houses' styles, most of which present whitewashed chimneys with different shapes and geometric designs. You'll find all the info you need to plan and prepare for your holiday, including the best time to visit, what to bring and what to expect. 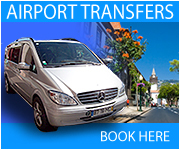 Although most people visit the Algarve in the summer, it is also very popular during the winter season because of its mild climate (almost 320 days a year) and ‘out of season’ cheap accommodation. Check out the current weather in the Algarve, the forecast, satellite images and the annual weather pattern. 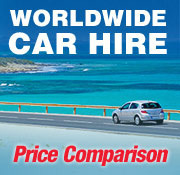 A wealth of travel services to help you here, find car rentals, quality hotels and other tourism services.